NTU is a brilliant place to explore and develop your creative style amongst a group of likeminded peers and enthusiastic tutors. The opportunities provided to students here are once in a lifetime, and I would absolutely recommend taking as many as you can! Can you tell us a little bit about your GAP Inc. live project? What are you most looking forward to when you take up your internship with GAP? 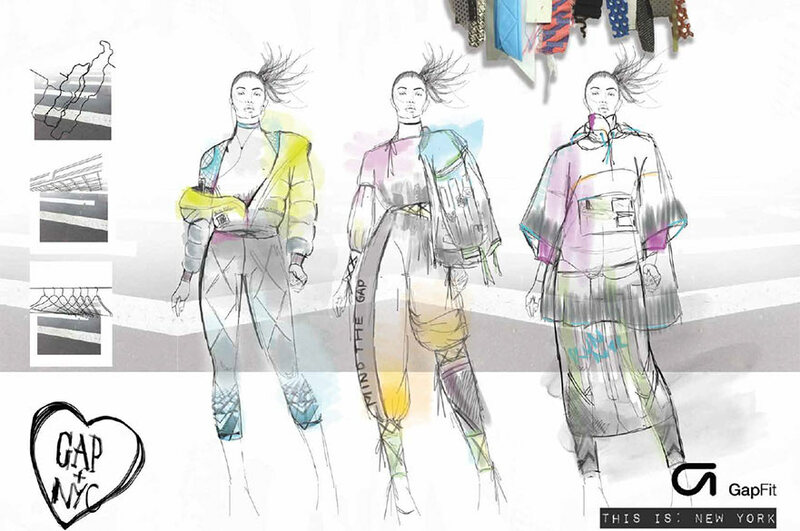 “The fashion studios and workshops at NTU have been an integral part of my work as they leave room for lots of experimentation across a wide range of different materials, resulting in work that can include anything from print design to 3D casting on garments! The fashion studios are a great place to work in, and helps you bounce ideas off your peers. In a nutshell, why would you recommend your course / NTU to someone looking to study Fashion Design?